Photo is a reenactment of a damaged B-17 trailing smoke as it passes very low over a Japanese encampment. 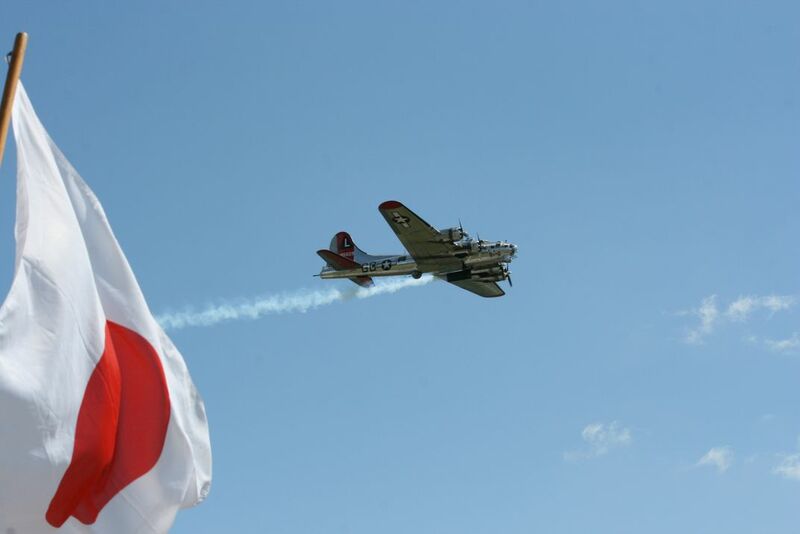 Photo captures the Japanese flag while focusing on the B-17 as it passes by. Date Uploaded: Nov. 25, 2015, 10:40 a.m.